At KC Tool we like giving free stuff to our awesome customers. You probably already know we give away a $50 KC Tool gift certificate every month to one of our customers who left a product review during that month and last week we started a little something called T-Shirt Tuesday. 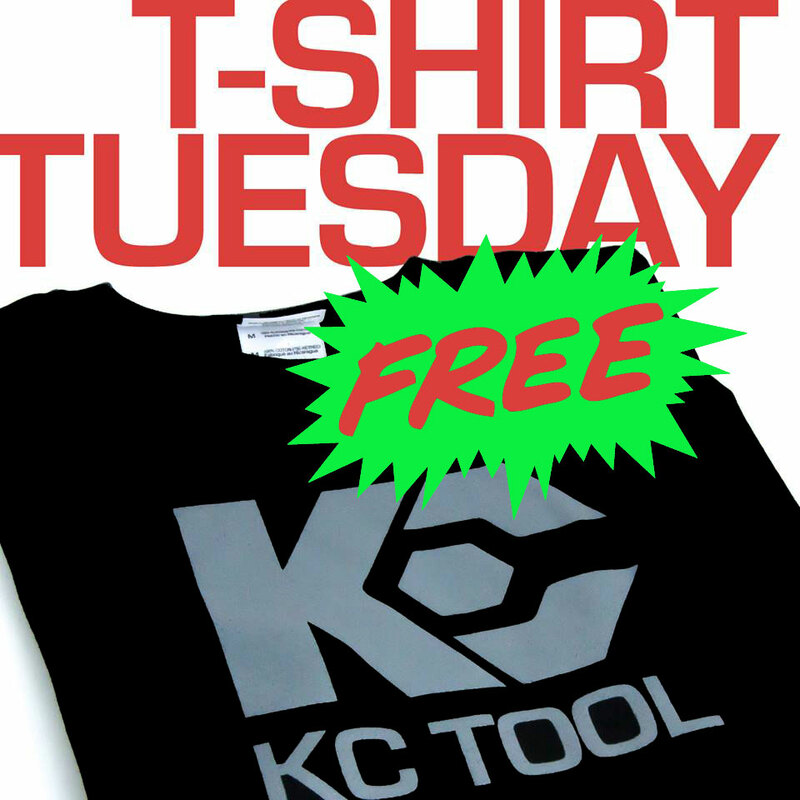 Each Tuesday we plan to give away a KC Tool T-Shirt to one lucky customer just for commenting on that weeks Facebook post. Check out our Facebook page weekly for your chance to win. The shirts are high quality Gildan Ultra Cotton with the KC Tool logo printed on the front. We have them in medium, large and extra-large and they are the same shirts our employees wear.